The Pelham Raiders signed a five-year, binding usage and rental agreement with the Town of Pelham in March. They're coming home. 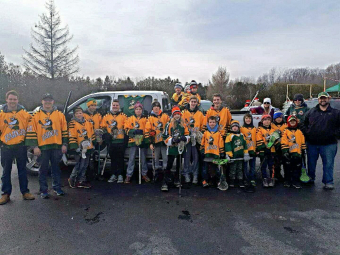 Why were a couple dozen lacrosse players marching proudly in their distinctive green and gold jerseys through Downtown Fenwick on Saturday? Because they participated in the annual Pelham Santa Claus parade to let everyone know they are moving back home. That’s right, the Pelham Raiders are moving back to Pelham. 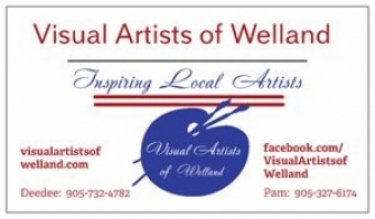 Welland in 1997 because of the lack of facilities and the condition of the Pelham Arena. The small change rooms and the undersized, non-standard playing surface in our Arena just weren’t conducive to a growing, championship lacrosse league. But, Ben Chambers, president of the Raiders Lacrosse Association, and the other dedicated Raider’s volunteer have said that the new Pelham Community Centre “…is going to be fantastic for us, and we’re very looking forward to it!” So much so that the Pelham Raiders signed a five-year, binding usage and rental agreement with the Town this past March. Through the years, the Raiders have developed players who have gone on to win scholarships, play at American universities, and even advanced into professional careers. Chambers announced to Council on November 6 that Pelham can once again get used to the Raiders moniker. “We found it very fitting that we announce, on our 50th anniversary that we are changing our name back to Pelham and from now on we’ll be known as the Pelham Minor Lacrosse Association,” he said. In addition, the Raiders are looking forward to hosting again the largest and longest running “paperweight” lacrosse tournament in Ontario, labelled the “Paperweight Provincials” by other Associations. The special tournament for players four to six years old brings in 16 out-of-town teams to compete and learn. Now moving to the new facility, let’s hope the Raiders recent petition to the Ontario Lacrosse Association to expand the tournament to 24 or 32 teams gets approved; it would be great for the players and the community. “It will be nice to move home to a community that is proud of us, and one that we can be proud to call home,” said Chambers recently. I hope you join Council and I in welcoming the Pelham Raiders back home!